Culligan Middle East will use this week’s Gulf Host exhibition at the Dubai World Trade Centre to debut a new drinking water dispenser which combines UV out technology and a carbon block filter to provide high quality water. Exhibiting on the Gulf Host show floor stand S1-A71 from 30 October to 1 November, the water treatment company’s innovation in using UV out technology without altering taste or odour and is available for all products in their Bio-Refresh range. 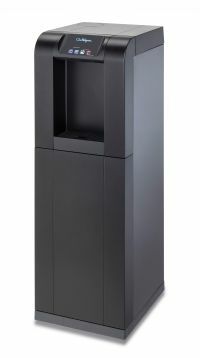 Housed in a one metre cuboid, the water dispensers are available in a range that offers a variety of drinking water, including ambient temperature, cold, hot and sparkling. The Bio-Refresh unit is also easy to use as the type of water can be selected with just one touch. Culligan Middle East was established in 1993 and acts as the regional arm for the Culligan Group, a global organisation which prides itself on providing consistently high quality water across the world. A leader in water treatment, Culligan Middle East designs, engineers and manufactures water treatment equipment and solutions for homes, offices, restaurants, swimming pools, cruise ships, hotels, hospitals and municipalities.